Your favourable season ski ticket - Dachstein Krippenstein! Make at favorable tariffs your turns on the ski slopes with the season pass for the winter season 2018/2019! Order NOW your season ski pass Dachstein West, Salzburg Super Ski Card or Snow & Fun Card comfortable at home in the Online Ski-Ticketshop. The ticket will be sent home for free. Family bonus: When purchasing a Dachstein Krippenstein season pass the 3rd and each additional child (D.O.B 2003-2012) get a free season ticket, when a season ticket is purchased for the oldest child (D.O.B 2003-2012) or youth (D.O.B. 2000-2002) and at least one parent at the same time. Proof of family status and age is to be provided. Only valid when tickets have been purchased for a family and within a pool. 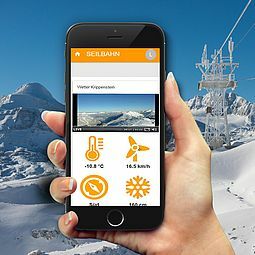 The season ski tickets are available from October at the ticket counter of the Dachstein Krippenstein cable car / Obertraun. Family bonus valid throughout the winter season: When a season ticket is purchased for the two eldest children (D.O.B 2003-2012) and youths (D.O.B. 2000-2002) and at least one parent at the same time, the 3rd and each additional child (D.O.B 2003-2012) get free season tickets. Available at all partner ski resorts in the ticket assocciation Dachstein West. Family bonus: Free season tickets for all children/youth (born 2000 and younger), if a family purchases two season tickets for the elder children, resp. for youth. Tax authorities validation of the family allowance is required! Available at all partner ski resorts in the ticket assocciation Salzburg Super Ski Card. Valid in: Snow & Fun Card is valid in Dachstein West (Gosau, Russbach, Annaberg), Freesports Arena Dachstein Krippenstein, Hinterstoder, Hochficht, Kasberg, Wurzeralm, Feuerkogel. Family bonus: Free season ticket, from the second child: The 2nd child and every additional child (D.O.B. 2004 and after) in a family receive a free season ticket when a season ticket for an adult, one child or a youth has been purchased. Available at bank Raiffeisen in Upper Austria, Lower Austria and Vienna and all Snow & Fun winter resorts! Prices in Euro incl. 10 % VAT. Season passes plus EUR 2,00 deposit for keycard. Respective season opening times apply as do conditions of partner business. Proof of family status is to be demonstrated using a family ID. Only valid when tickets have been purchased for a family and within a pool. Further information on terms & conditions.